Mobile technology devices are commonly used as assistive technology to support children with Autism Spectrum Disorder (ASD) in gaining skills in interpersonal communication. While considered generally safe and effective, there are concerns that a child that is taught to communicate through interactive technologies may become dependent on the virtual world and its rewards, while interpersonal skills are sacrificed or not generalized to real world settings (Bauminger-Zviely, Eden, Zancanaro, Weiss, & Gal, 2013). This chapter theorizes that the anthropomorphic embodiment of humanoid robots may provide a compromise between the real and the virtual worlds. The authors suggest that a humanoid robot can use social stories within an Applied Behavioral Analysis (ABA) framework to support the acquisition of social interaction skills of children with ASD. The objective of this chapter is to contribute to the current literature by providing a description of this intervention and make suggestions for its implementation using a case study approach. Autism spectrum disorder (ASD) is a lifelong developmental disability that affects the way a person communicates and relates to other people. It is generally characterized by impairments in social communication, social interaction, and social imagination, along with patterns of repetitive behavior. The degree of the impairments related to ASD varies significantly across a spectrum, ranging from severe to near-typical social functioning. Relevant evidence-based practices and research-based therapies seek to improve the individual’s social and communication skills while, at the same time, promoting their engagement in interpersonal interactions. 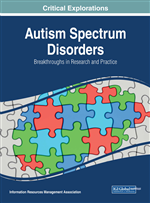 Although there is no cure for autism, early intervention programs are particularly beneficial and can lead to long-term gains in cognitive, social, emotional, and motor functioning (Bennett, 2012; Feil-Seifer & Matarić, 2008), providing considerable improvements to the individual’s quality of life and independence.